Royal Queen Seeds - Shining Silver Haze. Free US delivery. 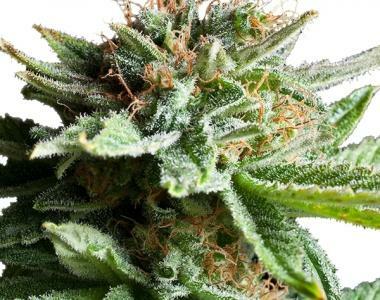 In the United States of America, the first Shining Silver Haze was born during the golden age of the seventies and is now distributed by Royal Queen Seeds. Its genetic background includes elements from Tropical climates near the equator such as Colombia, Mexico, Thailand, and Jamaica. It is this genetic combination that produced a variety of Haze that no one had ever expected. Unlike most species of Haze, Shining Silver Haze only requires 8 - 9 weeks to finish flowering rather than the usual 14. It also finishes around 70 - 80 cm high with average yields of 450 grams for square meter with flowers that have a THC content around 20%! Being that she is a STRONG tasting Indica, the effects are very stony with heavy relaxation, a sense of serenity, and very powerful body sensations. As an honorable mention, Royal Queen Seeds' Shining Silver Haze won a Cannabis Cup in 2010 - talk about a long-running classic!!! Producing some of the highest quality Haze bud out there today, Shining Silver Haze has been and will continue to be one of the greatest Indicas used medicinally and recreationally worldwide.